On Monday 5th February we put our books to one side and turned Eastbury Farm in to an Art School! We spent the morning exploring and experimenting with colour and printing, and created a range of our own colourful, patterned papers. Local artist, Nicola Wiehahn, came to work with children from each year group and showed them how to use their patterned papers to create a new piece of art. 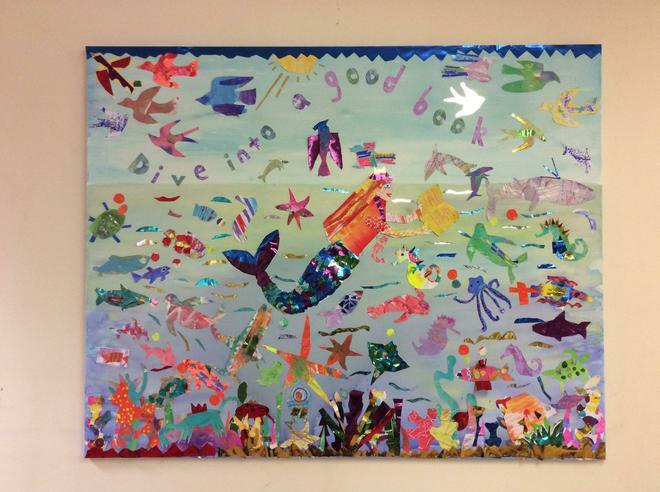 With her expertise and guidance, the children produced a beautiful new canvas in the style of Eric Carle, entitled ‘Dive into a good book’. In the afternoon, the children learned about the life and work of different artists, and used a range of media ‘in the style of’ Picasso, Lichtenstein, Rousseau.